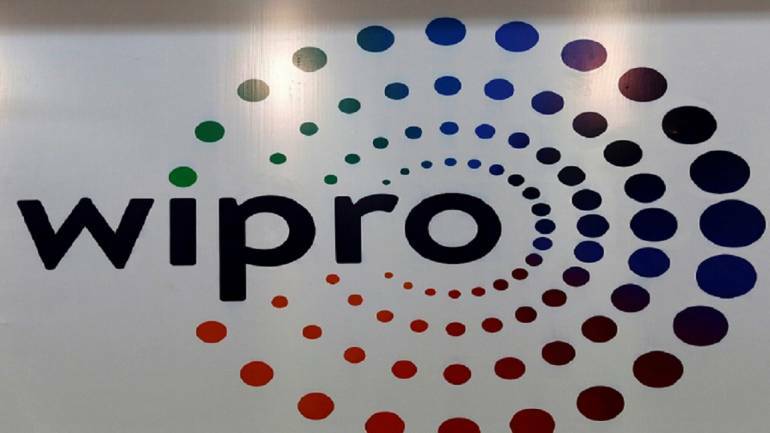 Wipro’s earnings for the March quarter was in line with the Street's expectations and that should lay the foundation for a strong FY20. Revenue momentum has been improving, management commentary is suggestive of a stable demand environment, margin is being largely maintained and a hefty buyback at a premium protects the downside, despite the muted near-term guidance. So, is it an ideal defensive bet? The IT major reported IT services revenue of $2075.5 million, a 1.4 percent and one percent growth in reported and constant currency, respectively. For FY19, revenue from IT services stood at $8.1 billion, up 5.4 percent in constant currency terms. The revenue momentum appears to be building up. On the back of strong deal wins and pipeline, the management expects FY20 to be a better year than FY19. It expects growth to meaningfully revive from Q2 FY20. Growth was largely driven by the key markets of Americas (close to 58 percent of revenue in the final quarter), with Europe too lending support, except for some weakness in the quarter gone by. The stellar showing by financial services continued. 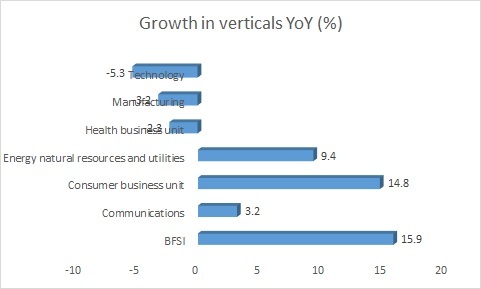 Not only is the growth extremely healthy, margin too has improved to 21 percent at the end of FY19 from 15.6 percent at the beginning of FY18. The other verticals that are contributing meaningfully are consumer as well as energy & utilities. Management commentary suggests that the communications vertical also appears to be back on its feet. The company has improved margin by close to 180 basis points (100 bps=1 percentage point) in FY19 to 17.9 percent. Excluding one-offs, the margin in Q4 stood at 19.2 percent, a sequential decline of 60 bps. Given the muted revenue guidance and wage hike in Q1 FY20, the near-term outlook may remain a tad subdued. Utilisation remains high and marketing expenses have been optimised, so revenue growth along with favourable currency are likely to be the main margin tailwinds. The management said that the much talked about macro slowdown has had no impact, except for some short-term weakness in pockets of financial services. 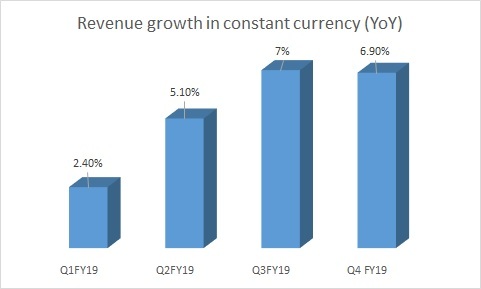 While the digital segment continues to be the growth driver, the share of digital for Wipro stood at 34.8 percent at the end of FY19, up 6.4 percent sequentially and 32.2 percent YoY, relatively softer than its larger peers that have recently reported numbers. The company expects its IT Services business to report revenue in the $2,046-2,087 million range in Q1 FY20, translating to a sequential growth of -1 to 1 percentage, excluding the impact of the divestment of Workday and Cornerstone On Demand business. The management alluded to seasonality, completion of large projects and delayed ramp-up of some others as reasons for the very weak guidance. The other area that demands attention, especially in light of the tightness in the labour market, is the continued high attrition rate of about 17.6 percent. With an improving outlook, the stock has not only outperformed the Nifty and BSE IT Index in the past three months, six months and one-year period, but also its peers such as Infosys and Tata Consultancy Services. As a generous payout, the company has announced a Rs 10,500 crore buyback – around 323.1 million shares at Rs 325 a share, a premium of close to 15 percent from its April 16 closing price. The pre-tax payout yield works out to 6.6 percent. While the muted guidance was disappointing, the management commentary on demand and FY20 growth outlook is encouraging. The valuation at 16.5 times FY21 projected earnings is not undemanding. However, we feel that the hefty payout protects the downside for the stock in the medium term despite the probable strength of the rupee against the dollar.